Valiant starts in 1944, when war world two is still not over. We fallow the story of a group of brave pigeons that serve as message carriers between the command post and the frontlines. 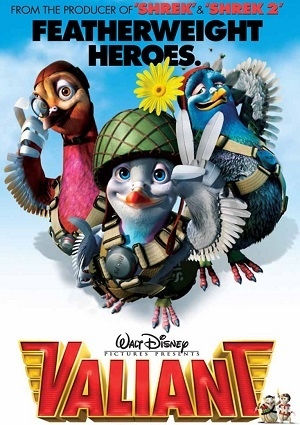 Valiant is a woodland pigeons that dreams of becoming a great war hero, and when he hears that the pigeons service is recruiting more pigeons, he immediately sings up for the job, but would he have what it takes to become a warpigeon or would he be dismissed before he can even take to the skies and above all, would he have the courage to face his enemy.